I am often the victim of much lament from my patients, family, and friends after reading my book/blog or hearing another of my weight loss diatribes. After I finally convince them that there is no magic weight loss pill, they often will look at me forlorn, shake their heads, and wish aloud – if only there was. This sad song is sung by the medical community as well. So you can imagine how excited people were when the FDA approved the first drug specifically for the treatment of weight loss in 13 years. I thought this would be a good opportunity to break the info down for you and give you the facts you probably won’t see in the marketing blitz that is sure to come. 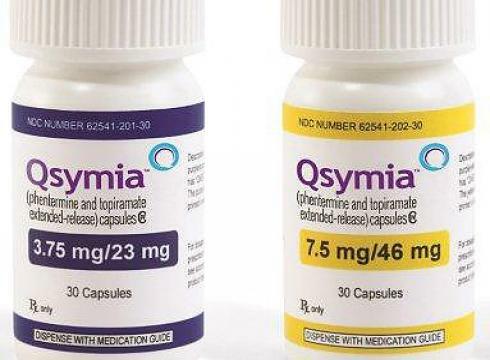 The main player in the market is a new medication called Qsymia (formerly known as Qnexa). This is not a new medication, but rather a new combination of two drugs that have been around for a long time. These drugs have been used separately and in combination in the treatment of weight loss in the past so their appetite suppressant properties are not a new discovery. This is just the first time they’ve been submitted for FDA approval for the specific indication of treating obesity. 1. Phentermine. This a stimulant medication that acts in ways similar to ritalin and methamphetamine. It stimulates the central nervous system in a way that suppresses appetite. You may recognize this drug from the last blockbuster drug combo Phen-Fen which was a combination of phentermine and fenfluramine. The latter of the two was found to cause horrible cardiac side effects leading to the removal of the drug from the market. 2. Topiramate. This is a medication used to treat seizures and migraines. It’s mechanism of action is not clearly known but it has the peculiar “side effect” of suppressing appetite. This “side effect” has been utilized for its primary indication. Two studies of 3,700 overweight and obese individuals had the subjects take Qsymia or placebo for one year. To be included you had to have a body mass index (see more on the BMI here) of greater than 30 or greater than 27 if you also had other chronic conditions associated with obesity. The subjects who took the medication lost on average about 23 pounds over the year and 6-9% more body weight than placebo. Almost half of the patients who took the medication lost more than 10% of their body weight. This medication is known to cause birth defects and women were required to take monthly pregnancy tests. In spite of the monitoring and strict birth control, 34 women in the study got pregnant during the study . There is a cardiovascular risk to the drug. There was increased heart rate and blood pressure. The full cardiovascular risk is unknown as there were not enough subjects to fully assess this risk. There is an increased risk of suicidal behaviors, mood or sleep disorders, and cognitive impairment. There is an increased risk of metabolic acidosis. The drug is known to interact with other medications including those taken for diabetes. The long term risks have not been studied. The medication was only studied for one year. It is presumed that the effects would be lost when the medication is stopped. Many weight loss physicians advocate life-long treatment with the medication. The long term side effects or risks are not known. It is also not known whether the benefits last or if the body “adjusts” to taking the medication after time. In addition to being given the study medication, all subjects got intensive counseling on nutrition and exercise and made significant lifestyle changes. The subjects were placed on a diet that decreased calorie intake by 500 calories a day which is a big reduction. You should not expect to lose the same amount of weight by taking the medication alone without making similar lifestyle changes. 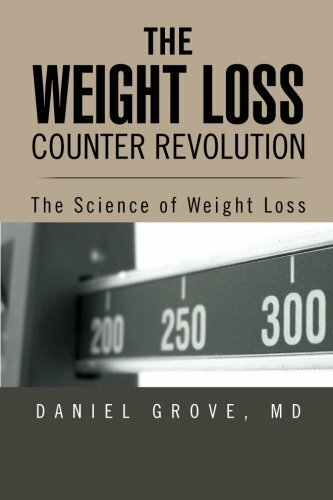 The drug was better than placebo but an average of 23 pound weight loss is not the dramatic mind blowing “Biggest Loser” change that most people would expect. If you take the medication you should have realistic expectations. Since it was an average, some people lost more but some also lost less. More than 1/3 of the patients dropped out of the study for various reasons. This would mean you have a 1 in 3 chance of not tolerating the medication at all. You can get the exact same results by getting separate prescriptions for topiramate and phentermine for much cheaper. While this medication may be helpful for obese subjects with many associated conditions, it is far from a weight loss panacea. There are significant and real side effects in the short term. The long term effects are not known. Since the medication is likely to only be effective if taken indefinitely, the long term side effects should be a significant concern especially after what happened with PhenFen. Since many obese people are also taking multiple medications for conditions like diabetes, there is the concern for drug interactions worsening the risk of the side effects. Women of childbearing age have to be extra careful not to get pregnant and should have regular pregnancy tests while on the medication. If the medication is taken, it cannot be expected to be effective without changes in diet and exercise as well. If you do decide to ask your doctor for the medication ask for two prescriptions for the component drugs to save you some money. All in all, I guess you could say that I’m not so impressed but, don’t worry, I’m sure the commercials will be magnificent. after that i propose him/her to pay a visit this website, Keep up the nice job. I am curious what your thoughts are on Psyllium Husk. Can its bulking action truly enhance a person’s gastrointestinal health? I heard it can help a person lower cholesterol and glucose levels ***with proper diet/exercise*** and also make a person feel fuller for longer periods of time while slowing the absorption of sugar thereby dropping blood sugar levels. I think it is terrific that you are providing important information for people who might be skeptical of anything the pharmaceutical companies are promoting. For those for whom weight loss is most difficult, this information is truly beneficial.